Any permanent magnet can be justmagnetit, placing it in a certain way in the external magnetMr. box. The strengthening of the electro -magnets is due to the increase in the winding current or the number of its turns. Use a permanent magnet. Place it in an external magnetMr. field, which is stronger than the magnetfield strength of the magnet. You can create another, more powerful permanent magnetom, and possible electromagnetOhm. Continue to hold the magnet in this field for some time and its magnetnye properties will improve. For each magnetand its strengthening depends on many factors, so the performance of this method it is impossible to predict. 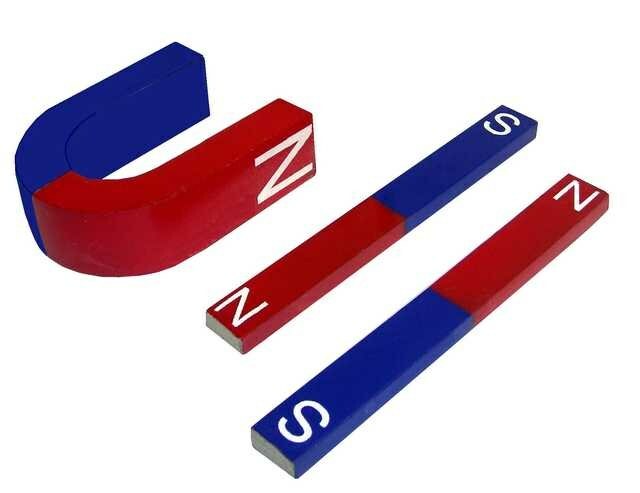 To strengthen the permanent magnet, combine it with the other magnetAMI, in this case the field will increase proportionally to the number of magnets. Magnets connect to each other so that like poles were oriented the same way. Because they will start, so they need to stick together. When reaching a certain temperature a magnet- ing properties of the permanent magnetand disappear. This point is called the Curie point. But cooling the magnetand to a temperature substantially below the Curie point does not increase its power, since this transition is the phase, that is, hopping. Electromagnet is a core of electrical steel wrapped around it with insulated wire. Increase magneting power in two ways. First – increase the current supplied to the coil. In this case, the magnettion of the induction field will increase in proportion to the increase of the current in the coil magnet. But if the current in the winding exceeds the value of short-circuit current, it will burn out, then the electromagnet fails. Therefore, to increase the current supplied to the electromagnet to be very careful. The increase in current strength is effected by increasing the EMF of the power source. If that's not enough, strengthen the electromagnet in another way – increase the number of coil windings without increasing its length. To do this, put a second row of wires, and if need the third. The magnetic induction field will increase proportionally to the increase in the number of turns on the coil of the electromagnet.